U.S. Senator John McCain (R-AZ), Chairman of the Senate Armed Services Committee, released the statement on Saturday on President Trump's reported decision to provide anti-tank munitions to Ukraine. "President Trump's reported decision to provide Javelin anti-tank munitions to Ukraine marks another significant step in the right direction and sends a strong signal that the United States will stand by its allies and partners as they fight to defend their sovereignty and territorial integrity. 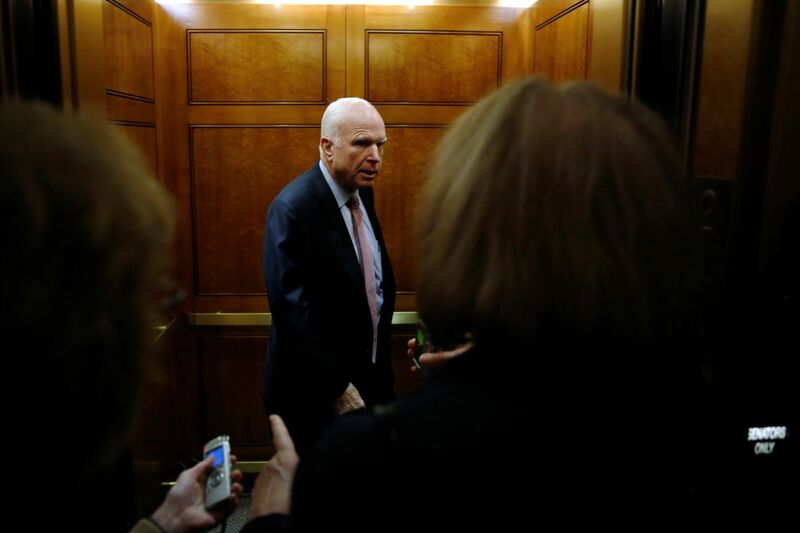 This decision is years overdue," McCain said in a statement, published on his official website. Read alsoTrump may approve plan to sell anti-tank missiles to Ukraine – media"But as Vladimir Putin continues to sow instability in Ukraine and Russian-led forces escalate their deadly attacks, it could not come at a more important time. Providing Ukraine the capabilities it needs to deter and defend against further Russian aggression will contribute to creating more stable security conditions that are necessary for a peaceful resolution of this conflict. In other words, as I have long argued, providing defensive lethal assistance to Ukraine is not opposed to a peace in Ukraine – it is essential to achieving it," he said.